Today I had the privilege of speaking to the Women Abuse Working Group, or WAWG as it is better known. This group is a coalition of over 20 community agencies that work together to eradicate violence against women and children in Hamilton. The group has a number of projects that they collaborate on each year and their latest project is really interesting and I believe it was just launched this last week. Starting now I think, theater goers to Ancaster's Silver City movie theater will be treated to a pre-show quick little video which is designed to spotlight the reality of domestic violence in the home from a child's perspective. Please go to the WAWG website to see this video http://www.wawg.ca It makes a very powerful statement. I get to write this blog so I can only really speak for myself but I believe that I speak for thousands of others when I say how grateful I am for all that is done for those of us who are survivors of Domestic Violence. The programs, the shelters, the phone lines, the support, the clothes, the taxi vouchers, the handouts, the free meals, and above all, the validation. Thank you for validating our decisions to leave and for validating our hopes for reconciliation*. Thank you for sitting with us and letting us cry , for moving the Kleenex box closer and just listening. Thank you for validating that we are not all that we have been told that we are and for faithfully and relentlessly reorienting us to the reasons why we left. Thank you for understanding when our kids have meltdowns. Thank you for having the programs that can help us as moms to help our kids and thank you for finding the funding to keep those programs going. We are a strong group of women, us survivors, but we have needed that firm wall behind us to help us to stand straight. You have been the wall as well as the helping hand that has helped us up. For all that you do, we thank you. * Author's note: it is very common for women who leave a relationship because of domestic violence to worry that they made a mistake. I know I went through a significant period of time that I agonized over whether I had done the right thing by leaving. I loved my husband and after years of hoping that he would change, continued to battle that hope after I left. I was fortunate to receive the support that while validating my desire for a happy marriage also helped me to stay focused on the reality of the situation. I do not believe there is anything wrong in wanting your relationship to work, indeed I felt sick at the idea that I was perceived as the one who wanted it over. It is, however, essential that you get the support that helps you to move forward. Many of us leave knowing that we are still in love...it is one of the hardest decisions to ever have to make. 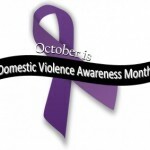 A mother of three and a survivor of domestic violence, I am passionate about helping women who feel isolated and alone, women who may have children that are profoundly impacted by the trauma of domestic violence and women who need to understand where they can go to get help for themselves and their families. I am a registered nurse who has worked for the last 16 years in a critical care area only to have to flee to a women's shelter and have my whole life changed. I know fear, I know pain and I now know food banks...I'm in good company. Who needs panic attacks anyways? There is no event available for today's date. Click to download a PDF of this book list. Copyright © 2012 by 1 in Four. All Rights Reserved.